I keep meaning to post up new panels on a strict M/W/F schedule, but I’ve been trying this thing recently. Eleanor unplugs the modem from our computer and hides it away, so that I have no temptation to blow most of the day refreshing BoingBoing. It’s been working pretty well, productivity-wise, but I keep forgetting I have to post up panels the night before. 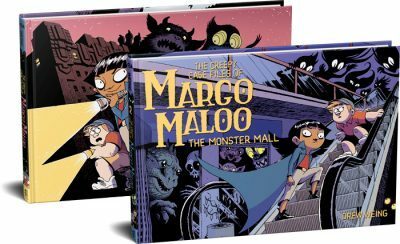 I’m in the brainstorming stages of my next big project, “Margo Maloo.” It’s going to be pretty different.